Kitchens are a place of sustenance and sociability. Food, family, and friends mingle to create a winning combination. So it makes perfect sense that remodels are so often geared toward the kitchen. But what about thinking of your kitchen in the long-term sense, in terms of investment and return? Will your kitchen remodel projects be a positive contribution to your home's value or will they erode that value? One thing to remember is that high-cost kitchen remodels don't automatically translate to high returns. Even though buyers may hold your remodels in high regard, your initial investment might prove to be so much that they can be difficult to pay it off. Color is the spice of kitchen life. Picking the perfect color not only makes for a lively, pleasant space, but it's one idea that can inexpensively return great value. For little more than the cost of paint and a few tools, you can majorly dial up the wow factor on your kitchen. Keep it timeless and traditional with an all-white kitchen color scheme. Or take the opposite tack and go chic with a black kitchen. Feng shui-inspired kitchen colors keep things cool, relaxed, and neutral. No holds barred here; the color of your kitchen is dictated only by your imagination. One word you never want to hear about your kitchen cabinets: dated. So, to attract maximum value in your kitchen remodel, put cabinets at the top of your list. 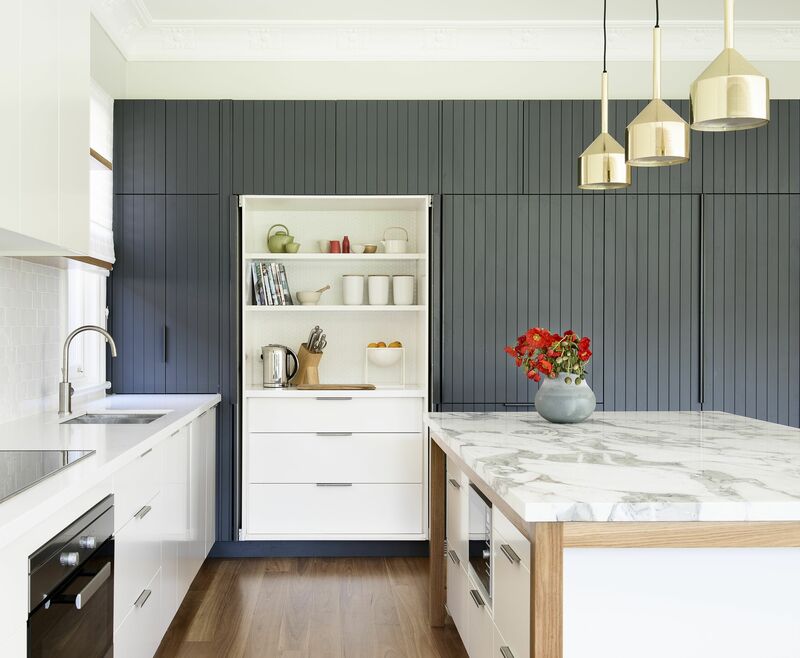 Updating your kitchen cabinets doesn't always have to mean tearing out and replacing your current cabinets, though in some real estate markets, full replacement may be necessary. Updating and upgrading can be as simple and inexpensive as painting your cabinets. Or exercise your creative chops with fun, low-cost kitchen DIY projects like handcrafted wood cabinet pulls. A step up, both in terms of cost and buyer appeal, is ​cabinet refacing. Refacing means replacing cabinets' most visually prominent area, the cabinet doors and drawer fronts. A technician applies real wood veneer to the side of the cabinet boxes. The finishing touch that pulls the project together: new cabinet fixtures. Among kitchen countertops, laminate, concrete, stainless steel, solid surface, and a number of others vie for "best countertop" status. But one countertop material always leads the pack: quartz countertops. A hybrid of minerals and resins, quartz is a nearly perfect material for countertops. It looks like natural stone but is harder than natural stone. It is as impermeable as solid surface but it won't scratch like solid surface. This chameleon of surfaces can take on different personalities, too, adopting everything from a traditional stone-like appearance to the trendy and industrial look of concrete. Quartz countertops are expensive, so make sure your home's anticipated sale price can support this upgrade. Kitchen lighting, often ignored, deserves the spotlight. Not only does a well-designed lighting package illuminate your beautiful kitchen, the lighting itself can become an object of attention. Unlike that other kitchen standby, recessed lighting, pendant lighting announces itself front and center. 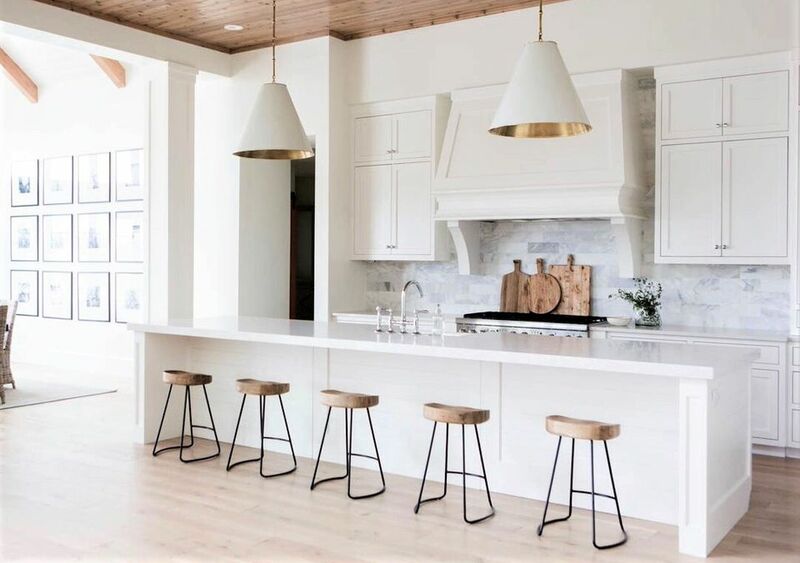 With kitchen pendants, the best advice is to go big and bold. But be sure to scale the size of the pendants to your kitchen, and avoid overwhelming the space.